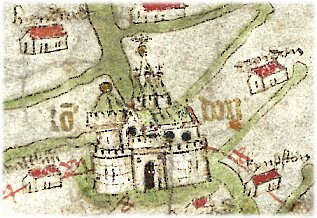 Though Malory doesn’t mention Oxford in his account of King Arthur’s Roman War campaign, t hat is where the second leg of my Roman War journey began. 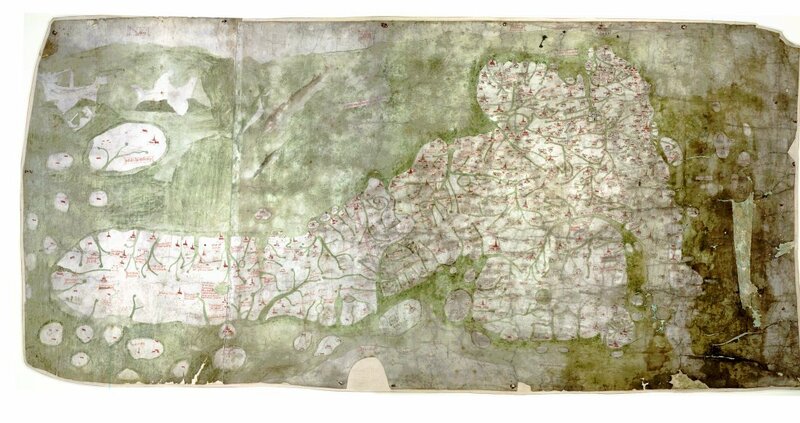 “The Language of Maps,” an interdisciplinary colloquium, was held at the Bodleian Library in Oxford, June 2011. Organized by Dr. Keith Lilley, Professor of Geography at Queen’s College, Belfast, and Nick Millea, map curator of the Bodleian Library, the colloquim brought together geographers, history of cartography scholars, map curators, and scholars working in the humanities (history, literature, and art history) to explore the visual and textual languages of maps and to celebrate the completion of a major phase of the Linguisitic Geographies Project, an interdisciplinary study of the amazing, beautiful and somewhat enigmatic Gough Map of Great Britain (c. 1370), and the exhibition of the Gough Map at the Bodleian. 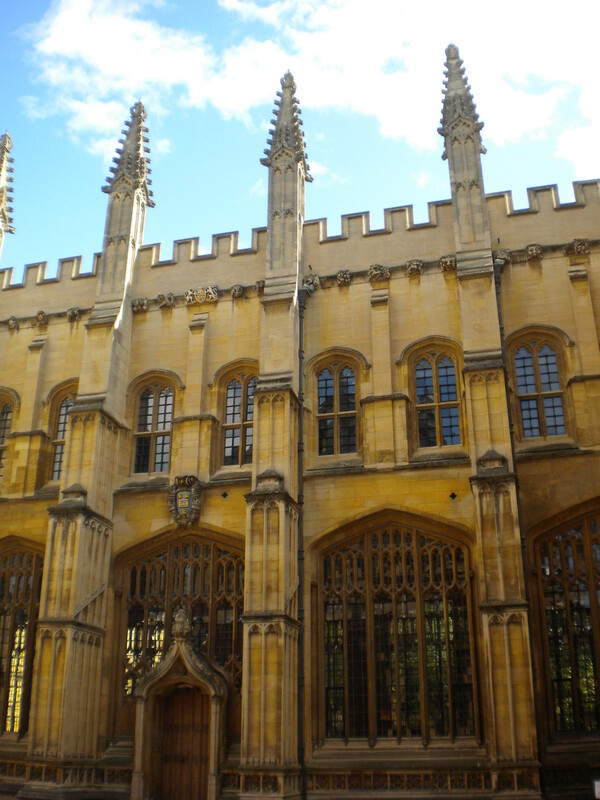 The Bodleian is the great university library, established in medieval times, at Oxford. 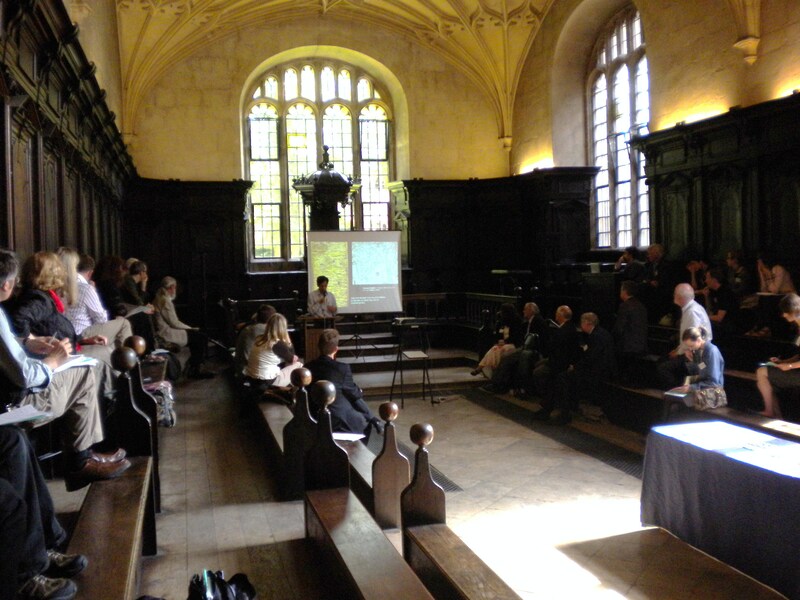 In true medieval fashion, we shared our research (see programme) while seated on unforgiving wooden benches in the Convocation House of the Bodleian Library! My paper (The Behaim Globe: A Literary Map of Late-Medieval and Early Modern Geographic Thought) explored the excerpts from Marco Polo’s and John Mandeville’s medieval travel accounts that seem to “float” on the globe’s seas. The Behaim Globe is the oldest surviving globe, and my plan to see the Behaim Globe in Nuremberg will take me over some of the same landscape as Malory’s Roman War account–from England to France and east to Germany. I am joined by my friend Dr. Padeen Quinn, and so we begin our journey, following the second half of the Roman War campaign. *All quotations are from Stephen Shepherd’s edition of Le Morte Darthur, 2004. This looks fascinating. I’ll enjoy your journey. Thanks Tom–look forward to having you along for the journey.